The charged particle accelerators were originally developed for pursuing research in frontier areas of physics. They are now being used not only for basic research in science but also in a variety of applications of great relevance to the society. The charged particle accelerators are employed in health care, industry, agriculture, national security, environment, archaeology and cultural heritage related programmes. An overview of the charged particle accelerators, both the ion and the electron types, the national and the international scenario and the application potential of these accelerators in various programmes is provided in this article. A2D2- Accelerator Applications and Development and Demonstration center (2017); news.fnal.gov. September 21, 2017 . L. Poffenberger Accelerators for society (2018) www.accelerators-for-scoiety ADAM- a research company inspired by CERN(2018). www.adam-geneva.com Basfar A A (2010) A review of electron beam flue gas treatment (EBFGT) as a multicomponent air pollution control technology Nukleonika 55 271-77 Bhabha Atomic Research Centre (BARC) (2018).www.barc.gov Bhandari R K and Roy A (2015) Next generation particle accelerators for frontline research and wide ranging applications Curr.Sci. 108 1608-1615 Burkhart R (2006) Neutron generator and well logging www.osti.gov. Sandia National Lab Chidambaram R and Kailas S (1995) Accelerators – Achievements and future projections Curr.Sci. 69 572-577 Conference on Application of Accelerators for Research and Industry (CAARI)(2018). www.caari.com Divatia A S and Ambasankaran C (1985) Accelerator developments in India Pramana. J. Phys. 24 227-244 Fifield L K (1999) Rep. Prog. Phys 62 1223-1274 Hamm R W and Hamm M E.(2012) Industrial Electron Accelerators and Applications, World Scientific Publishing Company Hamm R W (2013) Industrial Accelerators, Proceedings of International Particle Accelerator Conference, China 2013 Indian Particle Accelerator Conference series (InPAC) (2018)– Recent one held at RRCAT in January,2018. Inter University Accelerator Centre (IUAC) (2018) www.iuac.res.in Jagatap B N and Kailas S (2009) Accelerator Driven System in the nuclear power programme ,Indian Nuclear Society News, 2009, vol.6 No.2 Editor B.N.Jagatap Guest Editor S.Kailas Kapoor S S (1998) Accelerator based activities in India, In proceedings of the Asian Particle Accelerator Conference(PAC98 conference) 8-11 Kutschera W 2016 Accelerator Mass Spetrometry: State of the art and perspectives, Advances in Physics;X vol 1 No 4 570-575 Lalremruata B, Kailas S Bhoraskar V N Ganesan S Saxena A Nayak B K Tyagi A Musthafa M M Mukherjee S Mukherjee G Naik H Dhole S D (2017) International Atomic Energy Agency, Nuclear data Section , International Nuclear Data Committee(INDC) Report – 0050 Mackova A, Kucera J, Kamenik J, Havranek V and Kranda K (2017) Nuclear physics news 27 12-17 Mehta G K ( 2000) High energy accelerators and material science, PINSA 66 653-674 Mehta G K (2002) High energy accelerators and associated developments in India, Pramana. J. Phys. 59 703-712 MYRRHA (2018) MYRRHA.SKCEN.BE Nuclear Physics European Collaboration Committee (NuPECC) – Long Range Plan 2010 (2010) Perspectives in Nuclear Physics Research- www.nupecc.org Nuclear Physics European Collaboration Committee (NuPECC) – Long Range Plan 2017 (2017) Perspectives in Nuclear Physics Research- www.nupecc.org Particle therapy cooperative group (PTCOG) (2018) ptcog.ch Perelta E A et al. 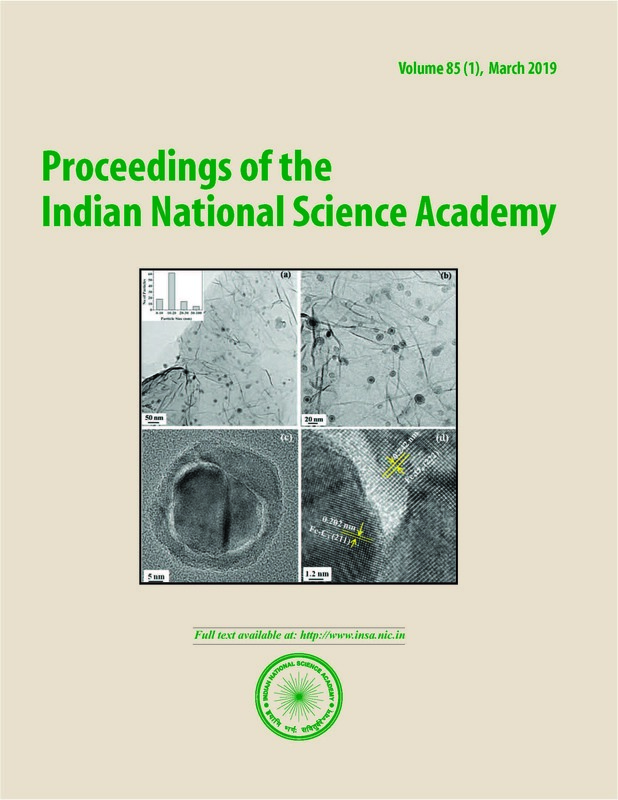 (2013) Development of electron accelerator in a laser driven dielectric microstructure Nature 503 91-94 PIPAC,Proceedings of the 8th International Particle Accelerator Conference, 2017 (2017)accelconf.web.cer.ch Raja Ramanna Centre for Advanced Technology (RRCAT ) (2018) www.rrcat.in Shinto A (2017) Current trends in clinical and medical imaging vol 1 1-4 Juniper publications Society for Applied Microwave Electronics Engineering and Research (SAMEER) (2018) www.sameer.gov.in Tata Institute of Fundamental Research (TIFR) (2018). www.tifr.gov.in Variable Energy Cyclotron Centre (VECC) (2018) www.vecc.gov.in Vainionpaa J H, Gary C K, Harris J L, Piestrup M A, Pentall R H and Jones G. (2014) Technology and applications of neutron generators developed by Adelphi Tech,Inc Physica Procedia 60 203-211.